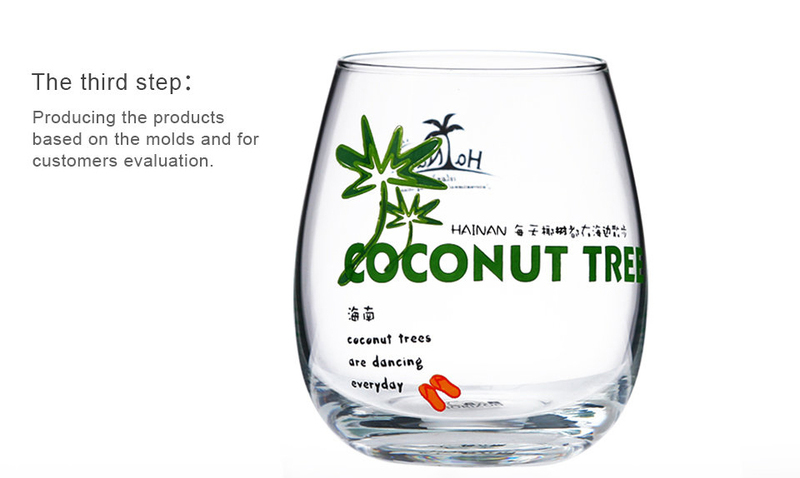 Shenzhen Ruixin Glassware company,10 years experience in customizing glassware gift,Sedex factory audit passed, all product could pass the SGS,FDA,BV and LFGB test.So if you want to do your own colors just contact us. 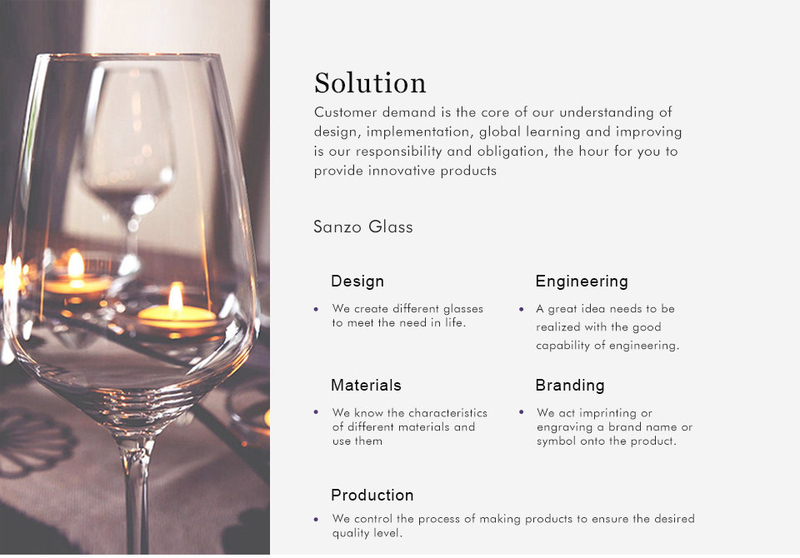 Customer demand is the core of our understanding of design, implementation, global learning and improving is our responsibility and obligation, the hour for you to provide innovative products. 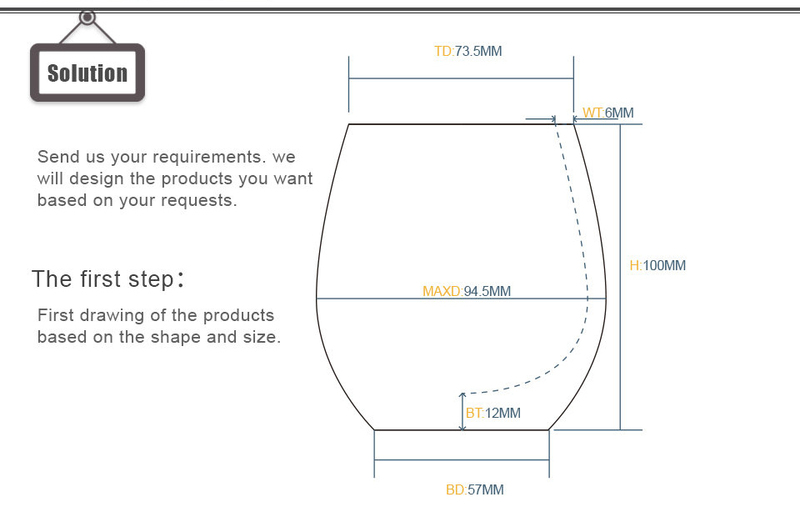 Send us your requirements.we will design the products you want based on your requests. 1. First drawing of the products based on the shape and size. 2. 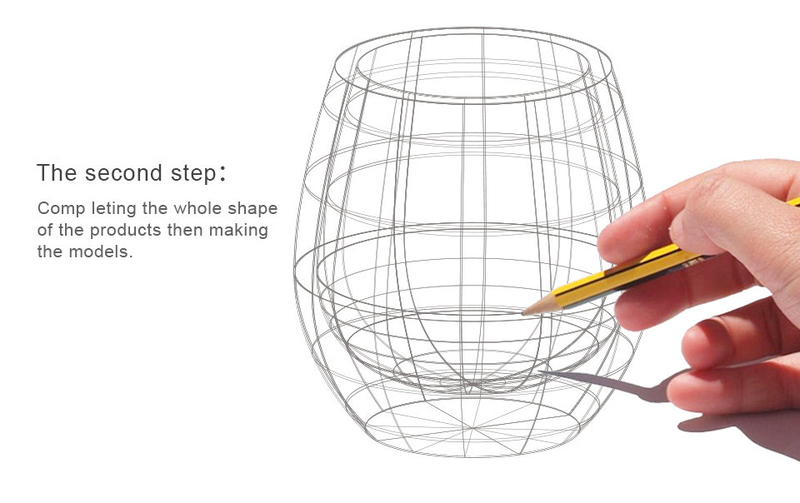 Comp leting the whole shape of the products then making the models. 3. producing the products based on the molds and for customers evaluation.